I have to say that I'm pleased by the result but admit that it does have room for improvement. I can't wait to make another one and perfect the design. I fell in love at first click. It's like cotton candy for the eyes! I spoke with the woman behind these fabulous pieces and much to my delight she liked my work as well! So we have agreed to make a trade. I hope I'm up for the task. I will post my final result. 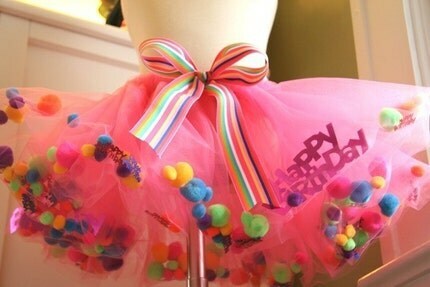 Oh, the pink petal tutu is lovely! I could just DIE from the gorgeousness!! I hope mine turn out halfway as divine as yours!